Indian two-wheeler manufacturer Royal Enfield has surpassed local unit of Japanese manufacturer India Yamaha Motor (IYM) to achieve the fifth place in local market for the year 2018. With the entry of Royal Enfield in the list, four spots among the top five is shared among Indian manufacturers. 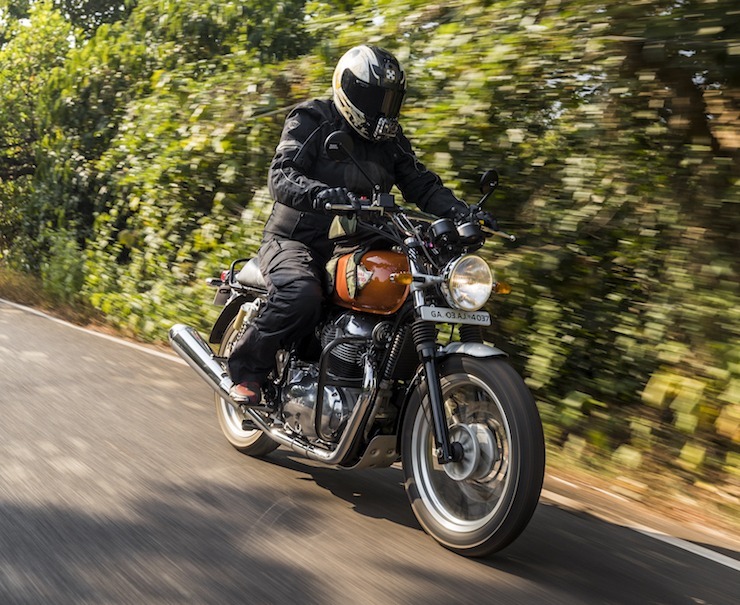 Eicher Motors-owned Royal Enfield sold 8,37,669 units in 2018 compared to the 7,52,880 units last year. Royal Enfield has seen a growth of 11 percent. However, for the last few months, Royal Enfield has been facing the heat from newly launched Jawa Motorcycles. Jawa Motorcycles owned by Classic Legends have launched two of their retro models Jawa or Jawa Classic and Jawa 42 in Indian market. After the launch of Jawas, RE sold 65,026 units in November and in December they managed to sell only 56,026 units which is way below their average monthly sales. While RE managed to grow 11 percent, India Yamaha Motors grew marginally by one percent only. They sold 7,96,234 units compared to 7,86,787 units last year. Yamaha in India has partially exited 110-cc market and is now focusing on performance and premium motorcycles like FZ25, Yamaha YZF-R15 etc, along with the scooter range to take on the competition. In terms of market share, Royal Enfield claimed 3.9 percent of the Indian two-wheeler market and India Yamaha Motor recorded a 3.7 percent market share in the calendar year 2018. One of the fact that makes this feat even more interesting is that Royal Enfield has managed to achieve this without any mass product or scooters which almost contributes half of Yamaha’s sales. Price of a Royal Enfield motorcycle starts from Rs 1,20,000 while Yamaha India product prices start from Rs 50,000 including scooters and mass motorcycles The Wwrld’s largest two-wheeler manufacturer Hero MotoCorp stood at the first position followed by Honda Motorcycles Scooters India Ltd., TVS Motors, Bajaj Auto at fourth and finally Royal Enfield at fifth position. The year 2018 has not been favourable for the two-wheeler industry, especially in the second half with rise in fuel prices and hike in insurance costs. However, the overall two-wheeler market saw a growth of 12.83 percent with 2,16,45,160 units in 2018, compared to 1,91,82,574 units last year.